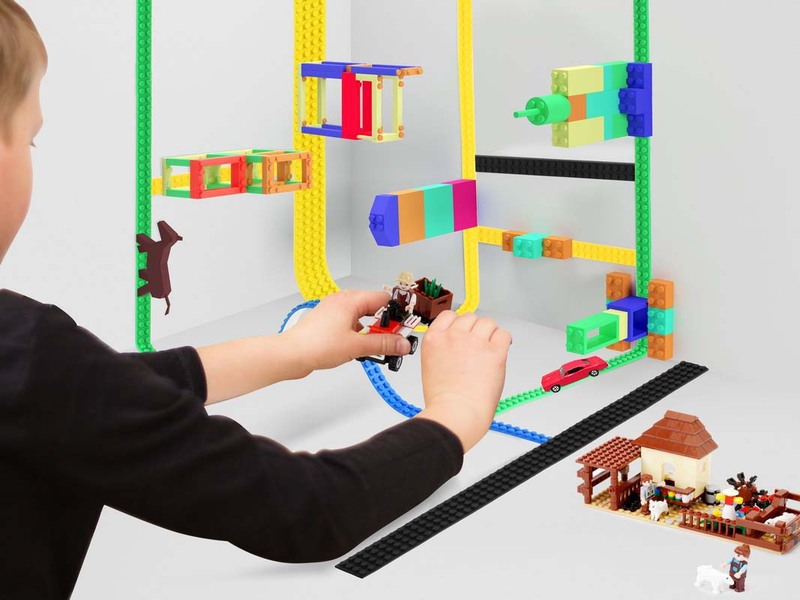 Have you built LEGOs all the way to the edges of the available landscape? The solution is here! 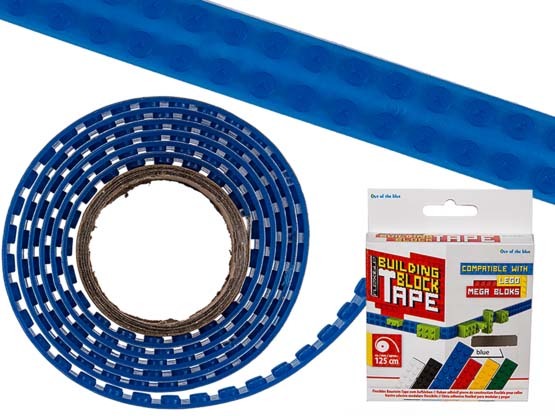 With this block tape, you can expand your city onto the walls, the refrigerator, the dog or your mother! 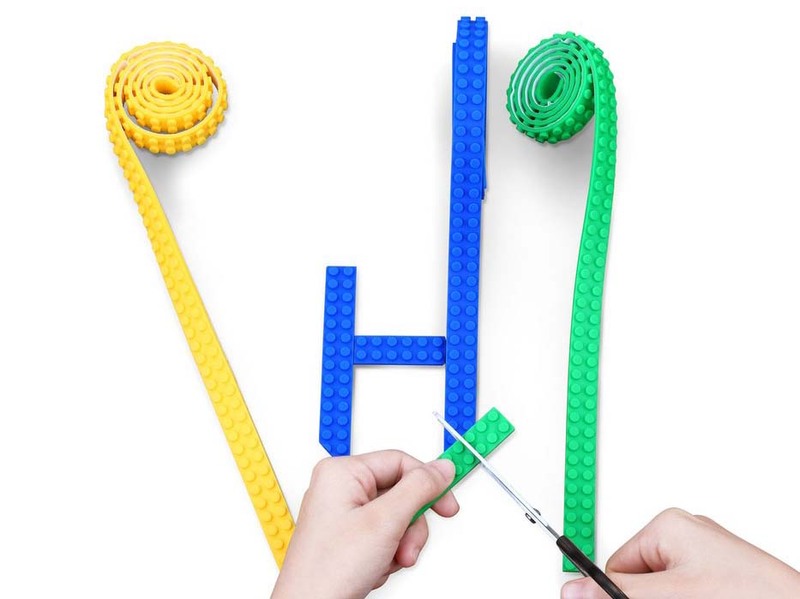 Construct futuristic masterpieces with elegant arches, or cut the tape into smaller pieces (e.g., to make letters). 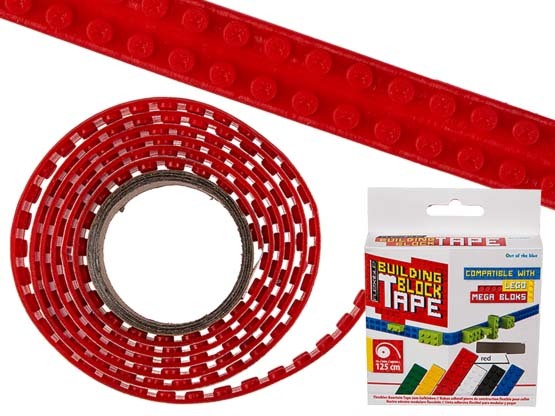 These flexible strips with building-block base come in double rows of studs. 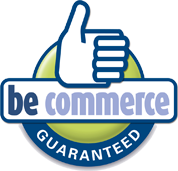 These will accommodate all standard LEGO bricks and other interlocking building blocks compatible with LEGO. The tape comes in white, blue, red and black. 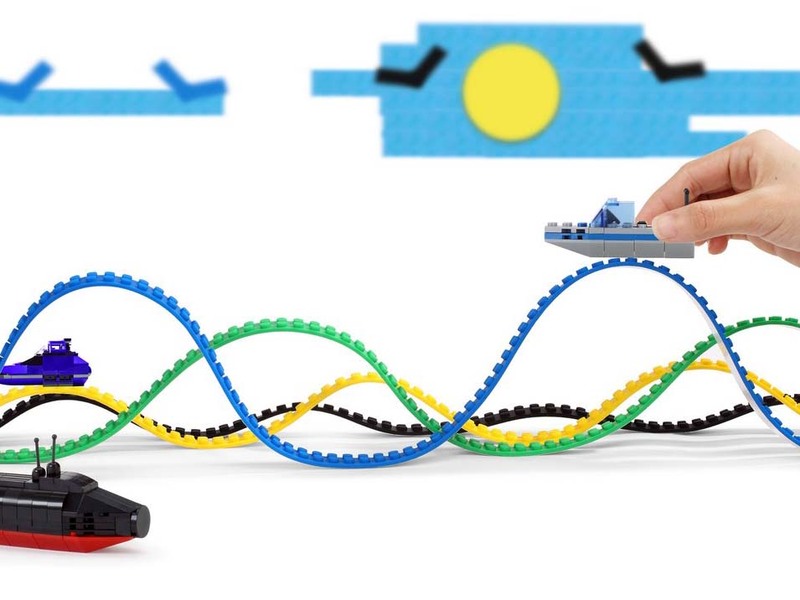 This is the perfect LEGO accessory for all creative minds from 5 to 95. Please note: the Block Tape does not include building blocks!